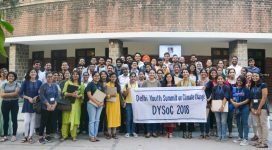 Delhi Greens organised the fourth Delhi Youth Summit on Climate (DYSoC 2018) at and in collaboration with Miranda House, University of Delhi on 03 and 04 October 2018. 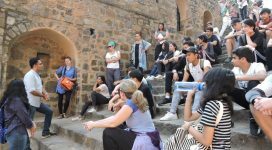 Day 2 of the Delhi Greens Urban Ecotour organised for over three dozen students and staff of the American Embassy School (AES), New Delhi in collaboration with Explorars on 19 and 20 March 2018. 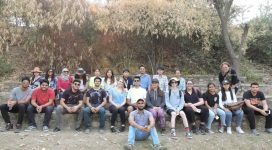 Delhi Greens organised an Urban Ecotour for over three dozen students and staff of the American Embassy School (AES), New Delhi in collaboration with Explorars on 19 and 20 March 2018. 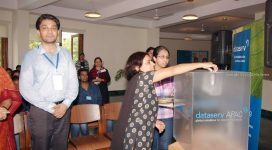 Delhi Greens organised a tree plantation and Urban Ecotourism expedition for the students of American Embassy School (AES), New Delhi. Day 2 of the third Delhi Youth Summit on Climate organised by Delhi Greens in collaboration with other like-minded organisations on 24 and 25 August 2013. 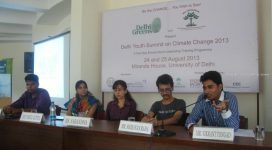 Delhi Greens organised the third Delhi Youth Summit on Climate at and in collaboration with Miranda House, University of Delhi on 24 and 25 August 2013. Delhi Greens organised Waste to Magic (WTM) Workshops for Bal Bharati Public School, Pitampura, Delhi on 24 and 25 July 2012. 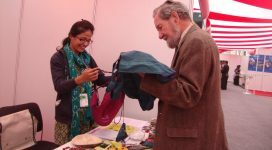 Delhi Greens was invited to host a stall during the CII Sustainability Solutions Summit & Exhibition on 25 and 26 November 2011 at The Lalit Hotel. Delhi Greens collaboration for the Yamuna-Elbe Public Art Initiative which took place on the right bank of River Yamuna in Delhi.